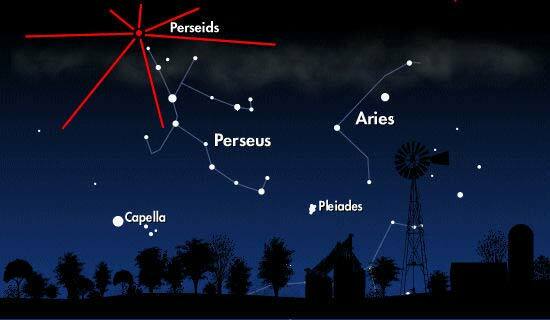 Moon phase is not ideal for gazing at the Quadrantids meteor shower. The peak of this shower coincides just a day after the Full Moon, so observers may only see the brightest Quadrantids meteors. 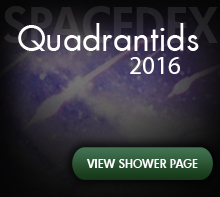 The first major shower of 2016 is the Quadrantids meteor shower. This annual shower has one of the highest predicted hourly rates of all the major showers, and is comparable to the two of the liveliest showers of the year, the August Perseids and the December Geminids. This celestial event is active from December 28th through January 12th and peaks on the Morning of January 4th. Those living in the northern hemisphere have an opportunity to experience a much better view of the Quadrantids, as the constellation Boötes (the radiant of the Quadrantids meteor shower) never makes it above the horizon in the southern hemisphere. This is great for those living in North America, much of Europe, and the majority of Asia. Unfortunately, those of you living in Australia and lower portions of South America and Africa will have a difficult time observing the Quadrantids. This year, a lunar phase Waning Crescent Moonwill coincide with the peak of the Quadrantids meteor shower. The light of the moon will not greatly reduce the quantity of meteors you’ll be able to see. To find the location of the radiant (the point in the sky from where the meteors appear to come from), we recommend you first find Polaris (a middling-bright star, also known as the North Star) and observe in close proximity to that area. On average, and under clear skies, observers should see 40 to 60 meteors per hour. However, every so often, these rates can exceed up to 80 meteors per hour in dark sky locations. If you happen to live near a brightly lit city, we recommend that you drive away from the glow of city lights. For many meteor showers it is often recommended to look straight up, but for this year’s Quadrantids we advise that observers face as low as possible toward the horizon without being looking at the ground. In other words, have the bottom of your field of view on the horizon. While you can still catch meteors while looking straight up, you will have an improved opportunity to observe more by looking toward the horizon. We wish you a wonderful viewing experience, and hope that the first meteor shower display of 2016 packs in several surprises! Star positions in the sky are defined by a pair of anges. These two angles are called declination (δ or Dec) and right ascension (α or RA). Know of any safe dark locations in your area? Please let us know below!